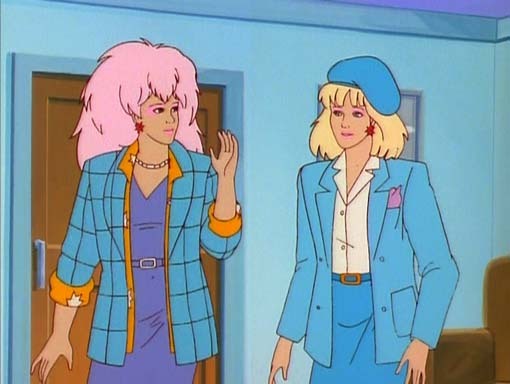 For those that don't remember, or are just too young or too old to know, Jem and the Holograms is an animated show that came out in 1985, same year as G.I. Joe and only one year after The Transformers. If all three series seem to have similar artwork and animation, it's because they were all made by the same company. I did watch this show when I was a kid, but I never became obsessed with it like I did with Transformers and G.I. Joe, so watching it again on DVD was pretty much like seeing it for the first time. I really wasn't expecting much from a show obviously aimed at young girls, but I found myself pleasantly surprised. The show entertained and expressed more complicated characters and relationships than I anticipated, often showing both the right way and wrong way to handle situations. This makes for a lot of good lessons for kids (and adults) without feeling like their trying to hit you over the head with it. In order to have a good show, you really need to have relatable characters, and this show has them. The story follows two female bands, Jem and the Holograms and The Misfits. Jem is actually Jerrica Benton, daughter of the recently deceased owner of Starlight Music. After his death, Jem and her friends discover that he built a computer called Synergy which has incredible artificial intelligence and can project holograms. 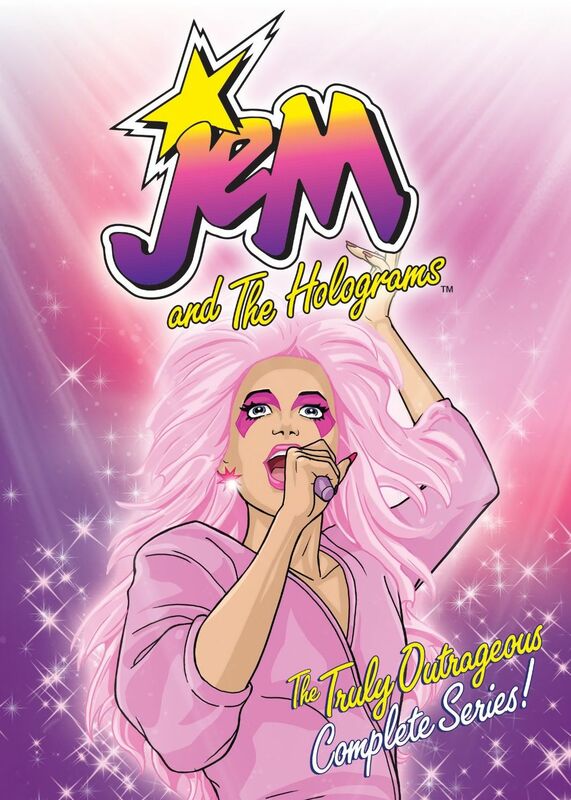 Jerrica is given earrings which contain micro-holographic projectors so that she can project holograms anywhere she goes, and she uses this to create her alternate persona, Jem, lead singer of Jem and the Holograms. And then there is The Misfits, a group of mean, nasty women who should all be in prison. They despise Jem and the Holograms and are constantly trying to destroy them... literally. And they don't do it in secret either! There are so many witnesses to their shenanigans that I don't understand how they're not in prison. It's too bad, too, because they actually have talent, so if they could just get an attitude adjustment they could easily become as popular as Jem and the Holograms. Throughout each episode there are typically three short music videos, usually about 30-40 seconds long. Remember, this show came out only like 4-5 years after MTV premiered, so music videos were kinda the "in" thing. The songs are usually pretty good, not chart toppers or anything but good considering they are for a cartoon band and so many of them had to be created. I'm curious to know if any of the songs were given full-length releases. This DVD set contains all three seasons of the show. In season two, each band gets a new member, and then in season three a new band shows up called The Stingers. I originally wasn't looking forward to watching all three seasons, but once I started it didn't become hard to make it all the way through. The quality of the characters and stories surprised me, and I think are better than many cartoons on the air today. And if that wasn't enough, this set also includes extra features, which you don't find too often in TV show releases. There is a retrospective featurette that includes cast and crew interviews, and fan interviews, plus the original toy commercials, the writer's bible (which is kinda interesting), and a video jukebox. So yeah, I'd recommend this.